Selecting flooring for your home gym can be a troublesome task. This is due to the ever increasing number of flooring options available. However, if you are looking for a flooring option which provides stunning aesthetics, is affordable and provides unparalleled ease of cleaning then look no further than oak flooring. When selecting oak flooring it is important to spend some time considering which oak flooring type is best suited to your specific tastes and requirements. In order to select the optimum oak flooring boards for your home gym, it is worth considering the following questions. What width of board if preferred for your home gym? 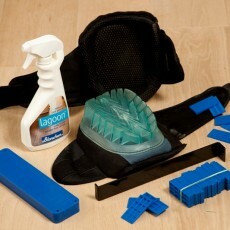 What installation method is going to be utilised when fitting the flooring boards to your home gym? 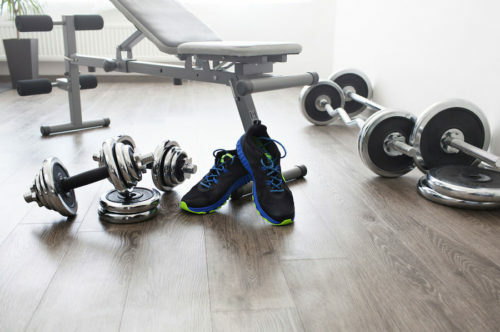 Once you have answered these two questions it is time to consider which flooring board type is best suited for your home gym. 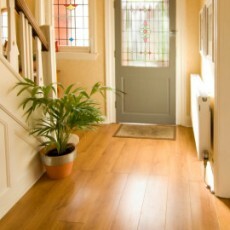 You may decide that engineered oak flooring is more suited than solid oak flooring. This can be attributed to the greater levels of stability offered by this flooring board type and the fact that these boards have a substantial wear layer – meaning the flooring will not only be durable but will also have greater longevity. We offer two engineered oak flooring board options which offer significantly higher levels of durability and longevity, whilst being surprisingly affordable. These are our 15mm engineered oak flooring boards which have a minimum wear layer of 4mm and our 21mm engineered oak flooring boards which have a wear layer of 6mm- making them virtually as durable as the significantly more expensive 18mm thick solid oak flooring boards. 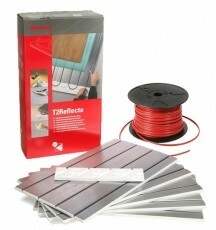 People can be suspicious of engineered flooring boards, confusing them with inferior laminated flooring boards. Whilst this mistake once had a degree of credence, those days are, thankfully, over. This can be attributed to the increases in both construction methods and overall quality that have occurred in recent years. Once installed, engineered oak flooring boards can be relied upon to not only provide incredible levels of stability but will also behave far better irrespective of the specific installation- making it perfectly suited for use in a home gym environment. 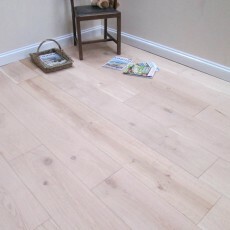 Brushed and Natural Oiled: This is by far our single most popular flooring finish. The high levels of popularity can be attributed to the fact that this finish results in a beautifully enhanced and natural looking grain on our oak flooring boards. In order to achieve this finish, the face of flooring boards is brushed during the manufacture process. 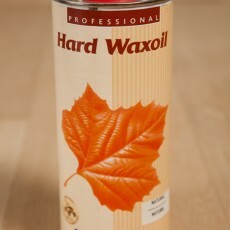 This removes the oak’s softer fibres, in turn enhancing the natural beauty of the grain features. 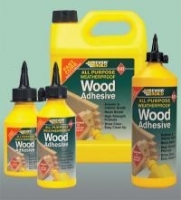 Additionally, this process results in a highly textured finish on the board’s surface, which is smooth to the touch as it has been finished with waxoil. The process of oiling the boards using waxoil does not result in a change of colour in the wood itself, instead enhances both the features and the colour of the oak. The addition of waxoil to the surface of the boards means that both scratches and marks do not show up as much as they would on a sanded, smooth finish. The finish is incredibly easy to maintain, often only requiring a light sanding and the addition of another coat of waxoil to restore it to pristine condition. Double Brushed and Dark Oiled: This finish is similar to the brushed and oiled finish. However, it differs as a deep textured finish is achieved through the process of brushing the oak’s surface twice. Once complete, the plank is then coloured using numerous coats of dark waxoil. This finish is most popular for use in conversion and restoration projects due to the fact that when installed in historical buildings, it helps to raise the overall status. Lacquered: In order to achieve this truly beautiful finish our craftsmen apply numerous coats of UV lacquer to the sanded flooring boards over a primer. 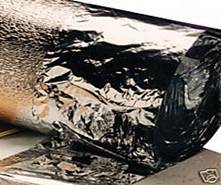 Subsequently, an anti-scratch protection coat is then applied in order to make it more durable following application. 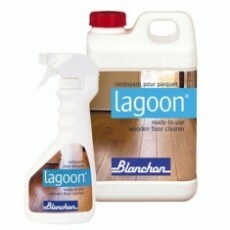 This process makes lacquered finished oak flooring an ideal choice for use in a home gym environment. The finished result of the lacquered finishing technique is a flooring that is not only smooth and hard, but also has a beautiful shiny satin finish. 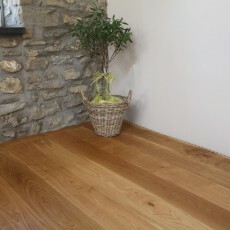 This oak flooring finish is incredibly easy to clean. The popularity of our lacquered finish can be attributed to the fact it complements a number of different interior styles and decors. Equally it functions well in rooms that have low levels of natural light. 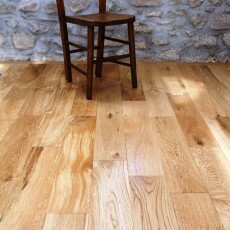 Hand Scraped: This finish type is by far most popular with those seeking oak flooring with a difference. 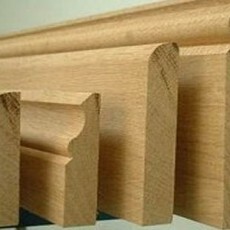 The finish is created through traditional wood working techniques. This means that each individual flooring plank is hand scraped and then coloured using either waxoil or a lacquered stain. Once complete, oak flooring with this finish has a certain textured appearance which echos the ancient methods used historically to level and flatten oak flooring. If you are looking for oak flooring which has depth, warmth and a unique character for your home gym, look no further than the hand scraped finish. Once installed, this finish looking stunning in both large and small areas due to the slightly textured and darker colour that enhance the oak’s natural beauty. We understand that selecting oak flooring for your home gym can prove difficult. Therefore, in order to ease the process, we offer free samples. These free samples help you to visualise the appearance of the flooring within your interior, empowering you to select the optimum flooring for your home gym. For further information, a member of our customer service team can be contacted by calling 0800 043 3073. Email enquires can be sent to us at sales@oakfloorsonline.co.uk.